Featuring a soft, perforated upper to maximize breathability, this model is very comfortable. This is an ideal running shoe for those making the transition from traditional footwear to a more minimalist approach. The thin sole construction lets you feel your run, connecting you to the true barefoot running experience. 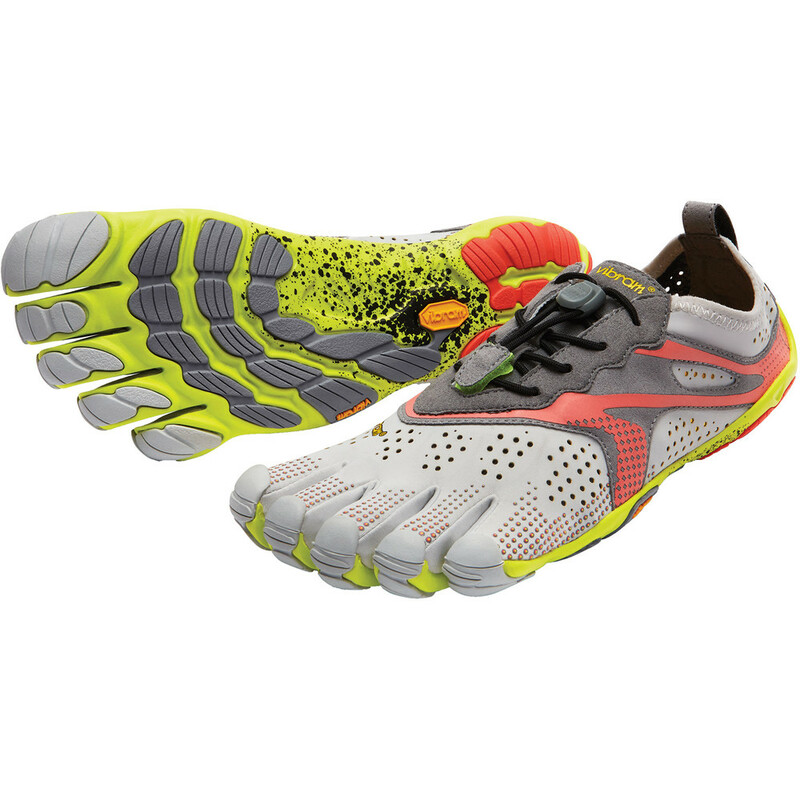 Vibram® VI-LITE features the ultimate in lightweight, shock absorption cushioning, for maximum energy conservation. Vibram® XS RUN provides a maximal stable hardness across a broad temperature range and the softness of the compound allows for expansive ground contact adn grip across lug surfaces. XS RUN also provides high grip on smooth surfaces. Vibram MONT® compound formulation is optimized for mountaineering, treking, acrobatic, works and motorbike racing. MONT is used to conquer the highest peaks in the world by offering the highest reliability on the most difficult terrain at low temperatures. Weight: M43 = 4.8 oz./136 g. Sole Spec: Insole: 2mm EVA + Anti-Microbial Drilex Sockliner Midsole: 4mm EVA Rubber: 2.5mm. Upper Material: Polyester Lycra Stretch Mesh + Polyester Microfiber. Vegan. Machine Wash Cold / Air Dry.